This project was made as a try-out what could be accomplished with a small team over a summer. I banded together with an artist, Magnus Quach, and a programmer, Carl Hiselius and tried to push a summer jam session into a game. 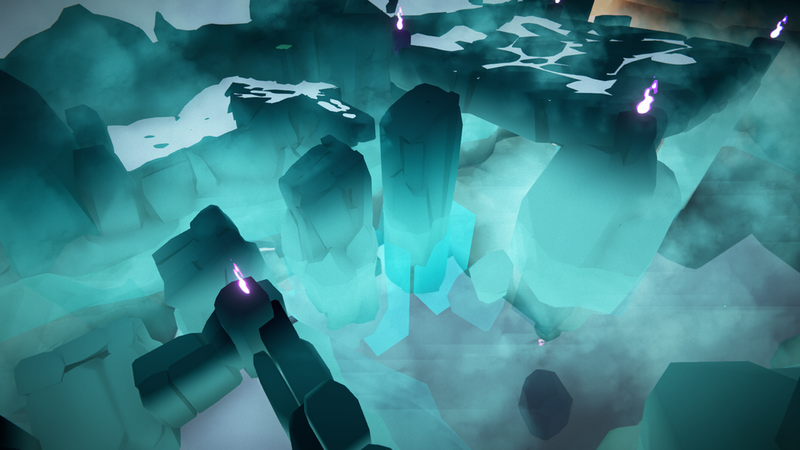 I entered this project over the summer 2017 with the ambition to explore concepts and to further my skills as a level designer. The game is about a shieldmaiden refusing to accept a place in the Norse version of Hell, Niefelheim, and instead making her way to Valhall to confront the ones responsible. The project was made with a small team in a limited amount of time. With that in mind we decided to do a low-poly graphics game and keep the abilities simple. As a level designer I was tasked with designing the levels, most of the game design and the implementation of scripts. 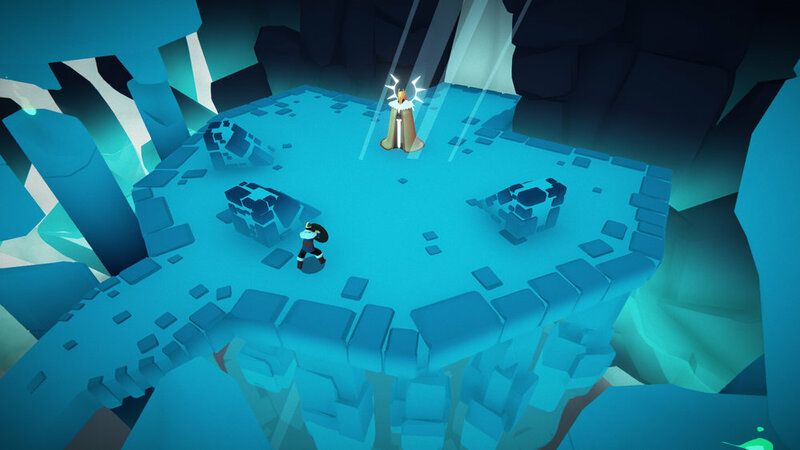 The concept we devised was a puzzle game set in a Norse-myth environment. We wanted something to call our own and decided to use only our own assets and scripts, but chose Unity as the editor of the game. Working at different locations we had to set up a version control system as well. 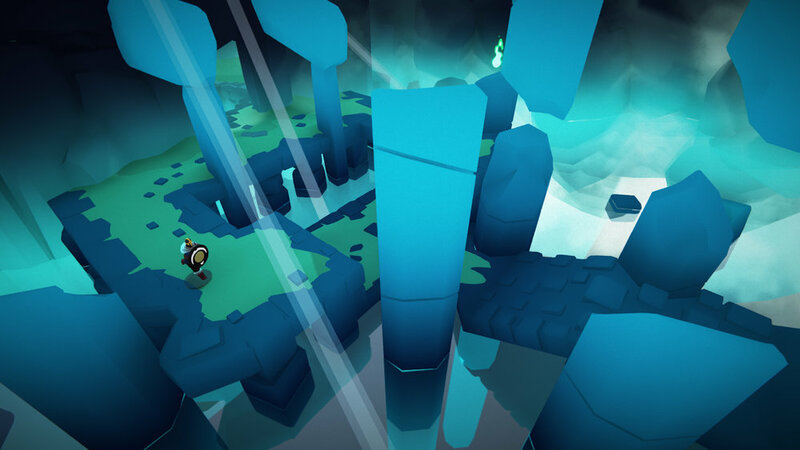 Besides the movement the player had two base abilities: The player could pick up shields for protection and push specific parts of the environment. With this we could establish simple controls allowing for a short learning curve. But in order to keep the player invested we branched the basic abilities a bit further. I had a lot of levels to build, as the sole designer on the project my teammates relied on me to make the calls on all matters related to design. I started by doing some research on what parts of Norse myth that could be used in the game. Once suitable locations had been determined I looked at the game progression and allocated the locations to a order attaching bosses to each location. 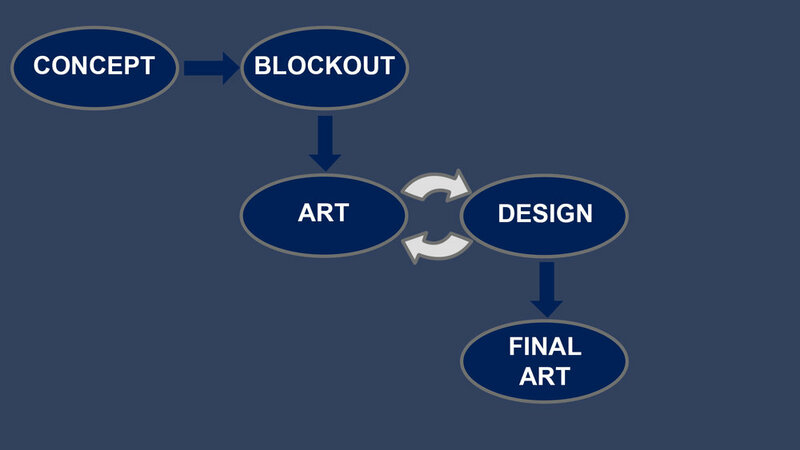 I draw inspiration from the Kishōtenketsu design philosophy trying to implement new elements, allowing the player to develop them, twisting it around and finally and wrapping it up. While this was not a perfect match for all our functions and the design narrative did not follow the theory to the letter it still gave me a base line to follow. The progression was based on the player going from a more open space and as they progressed the areas would be more and more cramped. 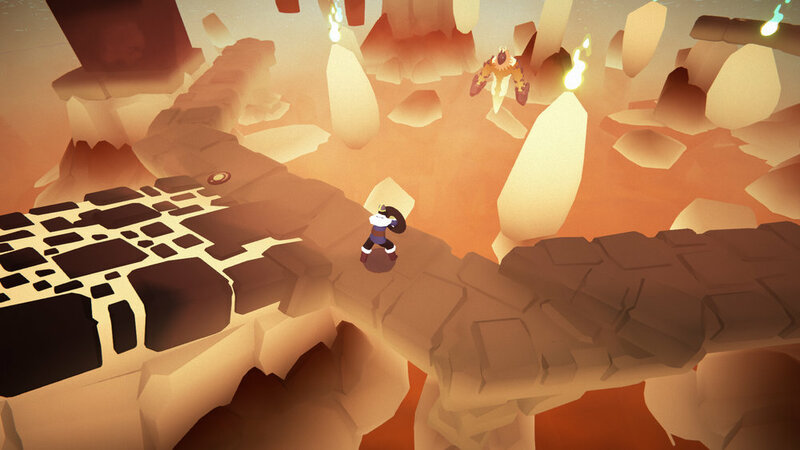 The first level introduced basic gameplay and movement with a boss placed as a skill gate checking that the player had learned the basic movement. 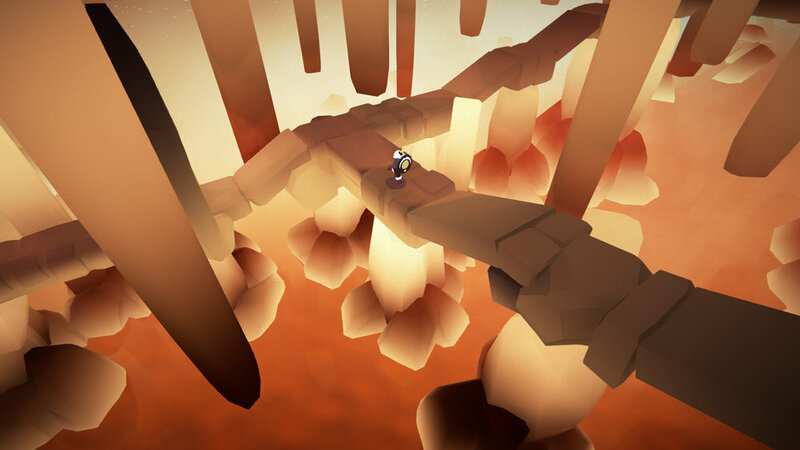 The difficulty, even with the boss was placed at a level that a player would rarely fail. As a final thing I introduced the shield and push mechanics with a skill gate. The second level saw heavy use of the shield but in order to keep things interesting I developed the usage with light reflection and again used the boss as the true test of the new mechanic. 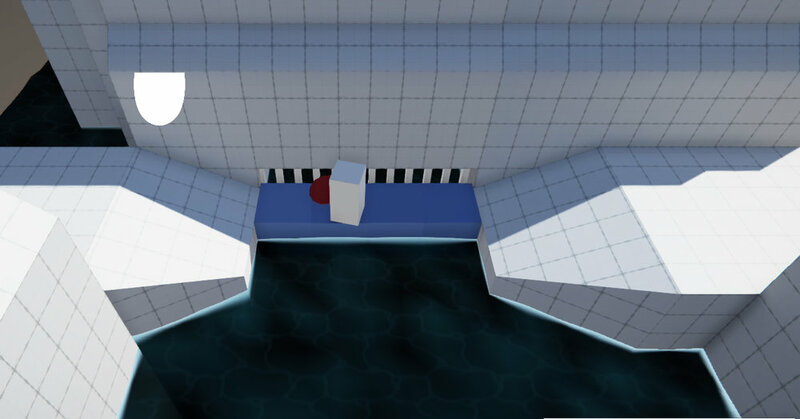 In last level of Niefelheim I changed the function of the water from just a danger-zone to something that could be used to solve puzzles by introducing buoyancy in our water. 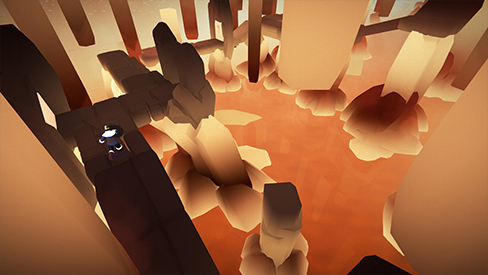 I planned for this area to be a more spacious than before implementing elements of exploration in the puzzles. Still working with stone the theme for Jotenheim would be more snow than ice to strengthen the feeling of progression. 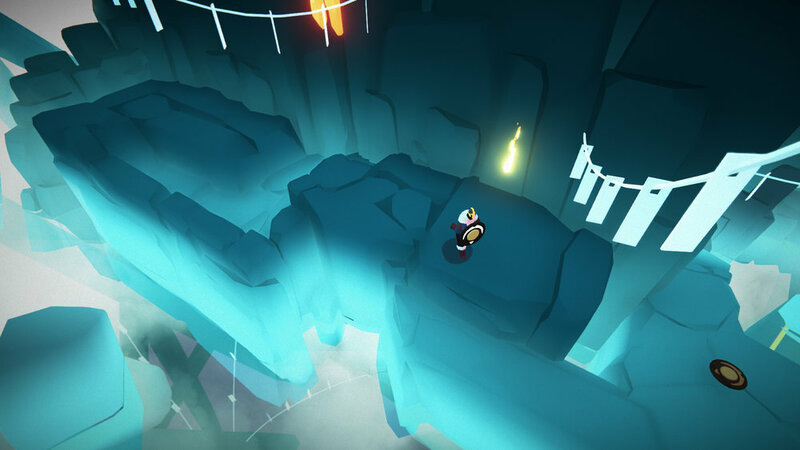 The level reused mechanics from the previous levels but in new ways and increased the difficulty by putting requiring timing in the movement. Serving as a contrast to the now familiar Ice and Snow this area would be filled with fire and lava. The gameplay would reflect the environment and be more intense and harder than before. The area contained one level and one boss The fire giant Logi. Besides the visual changes I once again twisted the parameters a bit. 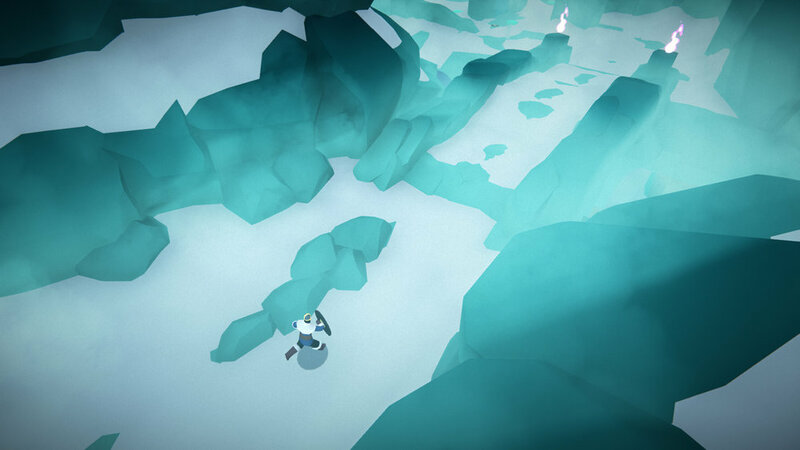 Where as Jotunheim had been about timing this level was about speed. Up to this point the player could decide the pace of progression but here I introduced dangers that required the player to follow the pacing set by the game. 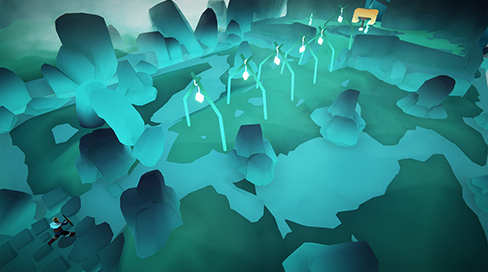 The last location of the game. I wanted the area to give off a sense of tranquility and timelessness. The pace of the previous level had been the highest in the game thus far and I needed to have a calmer pace before the last boss. There was only one level in this area but with two bosses. The Mjölnir Hammer and finally the last boss Valkyra that ended the game. 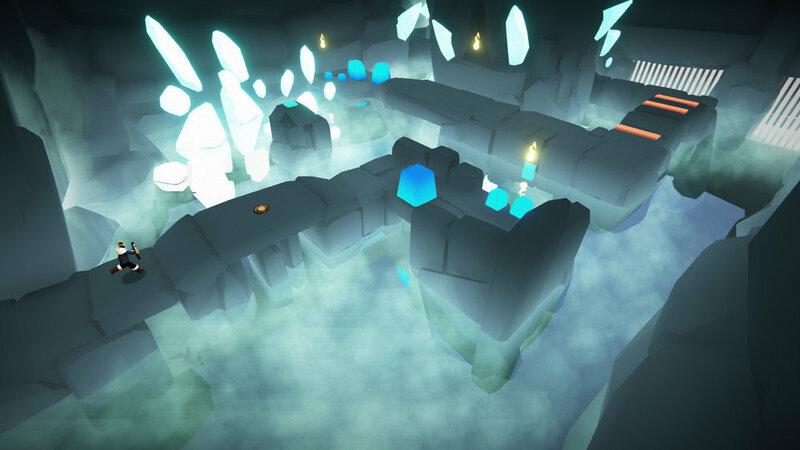 I designed the level more about paths and approaches, enhancing the bosses than trying to get puzzles in the level. The level and the two bosses was meant as the high-point of the game and any distractions from them would have diminished the experience. 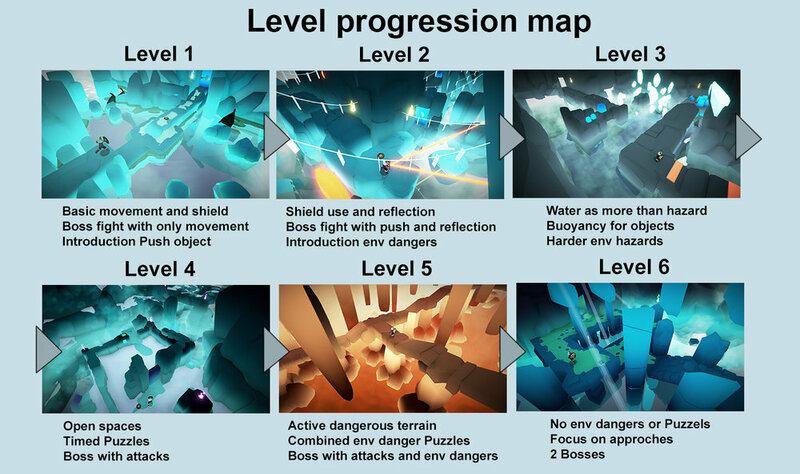 In total it would be 7 levels for one Level Designer. In order to increase my work speed I started to use the Probuilder plug-in tool. With it I could quickly get to a whiteboxed state of the levels. Our pipeline was set up so I worked up to a whitebox stage on the levels. While I was working with one level Magnus Quach worked on dressing others. Once he had dressed a level we took alternating design and art passes until it felt ready. The level workflow with art/design taking and giving feedback, iterating util a final artpass was done. In order to work with iterations we put the dressing on a separate layer enabling the team to work on separate spaces. I was tasked with designing the bosses and most of the game design. The bosses was important since they were the real challenge and skill gates of the elements introduced earlier. Using few assets and the limits we put on gameplay I had to be innovative to come up with interesting ideas that would not strain the other disciplines. Drawing upon my Norse-myth I presented numerous ideas to the team and together we selected the ones that would be in the game. While they all used player movement as a factor I used a few key abilities and the arena as variables to give each a unique flavor. Player movement is important to consider. For this project it was a key feature and it was the first thing I considered when designing the bosses. 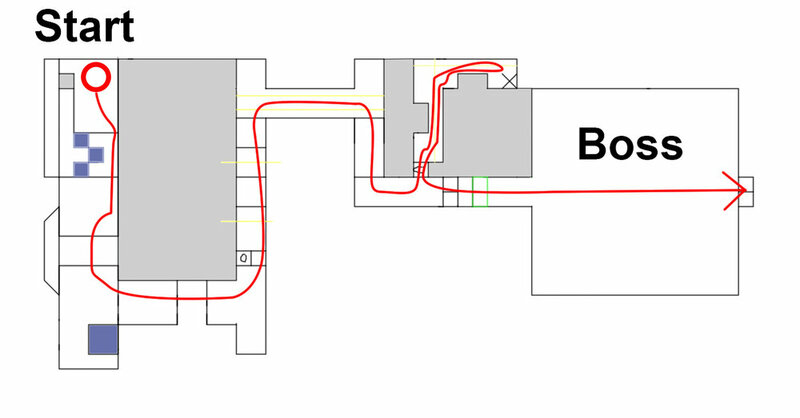 The space to move in combination with the features of the boss dictated how much freedom the player would have in their movement. For the first bosses this freedom was quite ample but as the game progressed I made changes in arena layout and Boss behaviors that constrained the freedom and increased the difficulty. The arena for the second boss used a open layout. The boss (Dark cloud in Purple circle) hunts the player making movement harder. 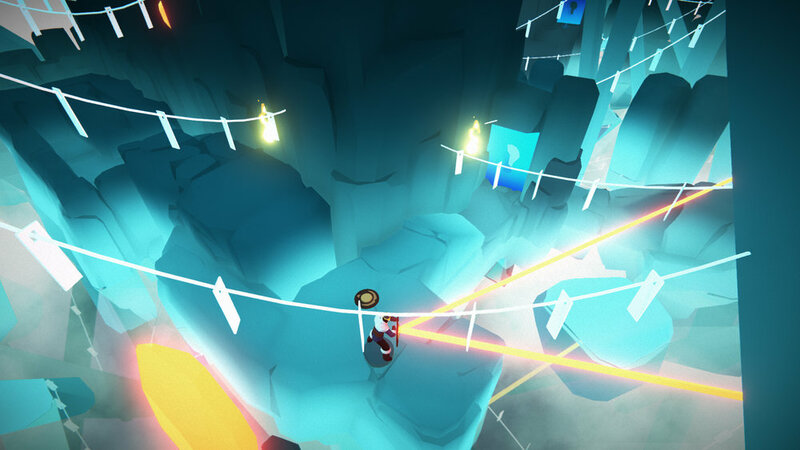 The player needs to redirect the light beam on the pillars to form a light prison. Many of our bosses were static or at least moved slowly enabling the player to dodge or run out of harms way. But since all were different we had to telegraph their attacks showing the player that something bad was about to happen. An example of this can bee seen in the Mjönir boss. The boss was static but used a lightning that targeted the player. In order to telegraph this we made a small jolt just prior to the big blast. Tryout of the Mjölnir Boss telegraphing and attack. Working on the project together with Carl and Magnus was in many ways a lesson in cooperation and I feel we accomplished much in a short time. To develop a game when you're miles apart adds a additional layer on a already complicated process even with a team as small as ours. The project taught me a lot about how a cooperation between level design/graphical artists can work and it is something that I've befitted from in the projects I made later on. There were of many things we could have done different and I feel that we vastly over-scoped the whole project. But even the over-scope taught me a valuable lesson in time management. I really enjoyed the making the block-outs of all the levels and i think the low poly art style has helped me visualize what my block-outs in later projects might become further down the road.